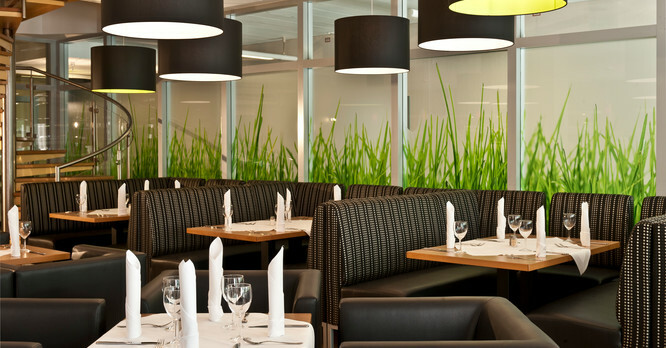 The culinary offerings at the City Hotel Berlin East are a real treat for guests, comprising diverse, versatile dishes. Whether in the "Grenzlos" restaurant with its Berlin specialities, in the typical "Berlin Bistro" or the "New Orleans Bar", a pleasant experience is guaranteed. Highly recommended during the summer months: an evening beer on one of the 2 outdoor terraces. Monday to Friday: 6 to 10.30 a.m.
Saturday & Sunday: 6 to 11 a.m. 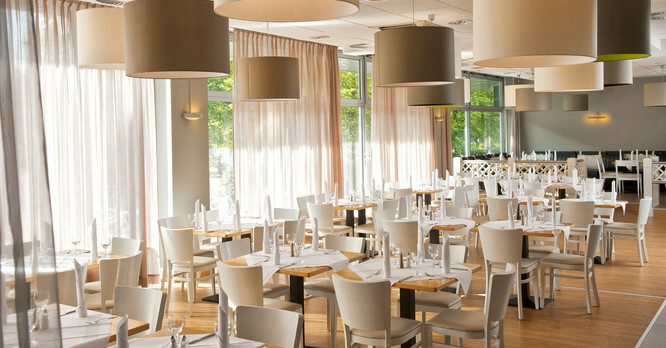 The “Grenzlos“ restaurant offers high quality dishes with fresh and seasonal ingredients. 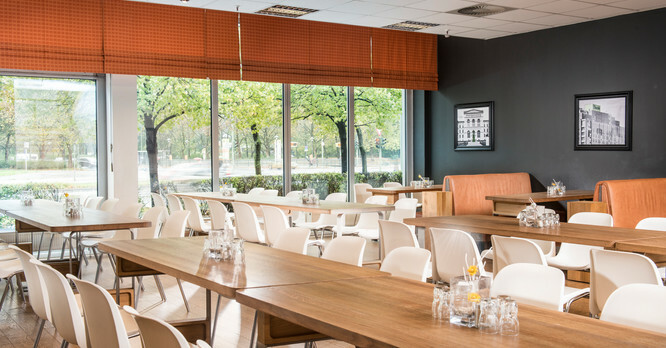 Our menu gives you a great choice of fish and meat as well as delicious vegetarian creations and typical Berlin specialties. The Berlin Bistro is bookable for events. 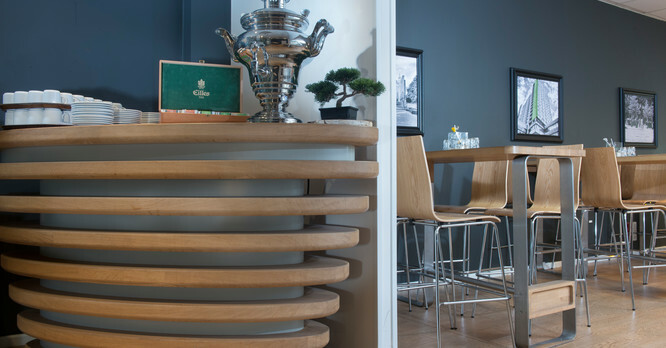 A cosy Berlin ambience can be enjoyed in the Bistro with typical regional dishes ranging from potato soup, Berlin-style burgers (“Bulette”) and curry sausages to Berlin-style calf’s liver and red berry compote. An absolute must for all first-time visitors to Berlin! Experience the unique flair at the “New Orleans Bar” and spend a comfortable evening here sampling a tempting array of tasty sweet and savoury snacks as well as a variety of drinks.